Cimafunk performed at the Alt.Latino SXSW showcase at Flamingo Cantina in Austin, Texas, on Friday night. Each year, the buzz in Austin, Texas, at the South By Southwest music festival can reach a deafening pitch. Our NPR Music team is here to help you cut through the noise. Every evening, we'll gather to roundup and recap the best discoveries of the day. 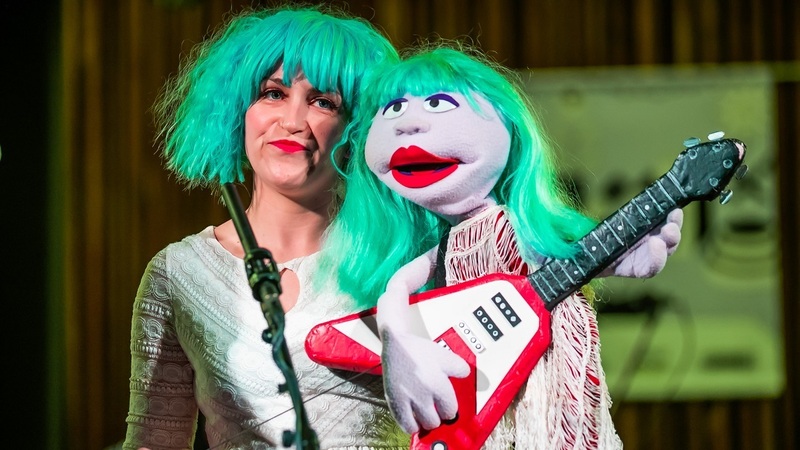 Keep up with our coverage of SXSW 2019 by subscribing to All Songs Considered. We'll be sharing 'Wow' moments every morning and updating our SXSW 2019 playlist with the best-of-the-fest tunes from the bands that we couldn't get enough of. 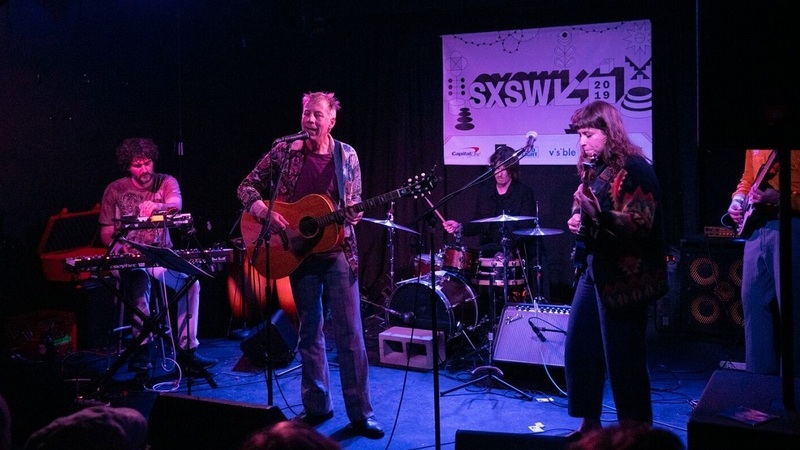 John Vanderslice performs at The Hideout in Austin, TX during the 2019 SXSW music festival. CHAI performs at Elysium in Austin, TX during the 2019 SXSW music festival. 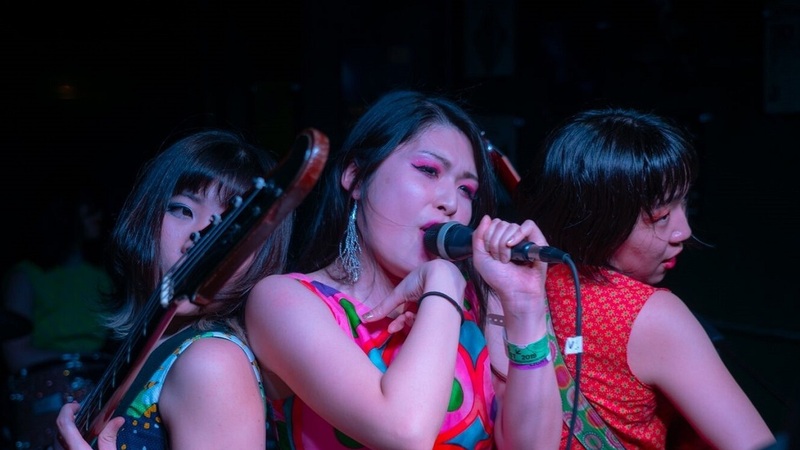 Otoboke Beaver performs at Valhalla in Austin, TX during the 2019 SXSW music festival. 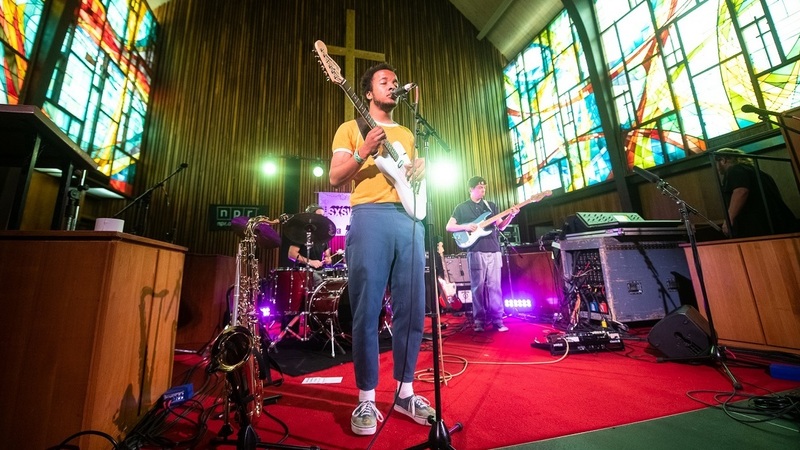 Cautious Clay performs at the Tiny Desk Family Hour at Central Presbyterian Church in Austin, TX during the 2019 SXSW music festival. 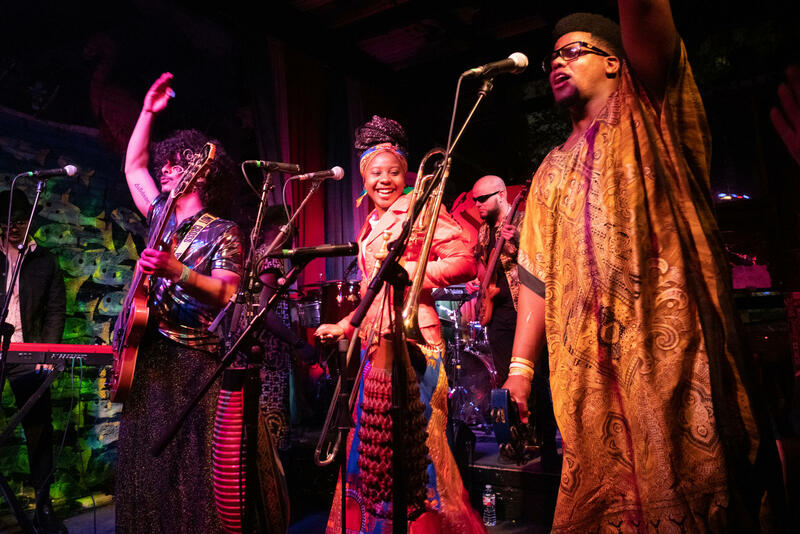 Fragile Rock performs at the Tiny Desk Family Hour at Central Presbyterian Church in Austin, TX during the 2019 SXSW music festival. 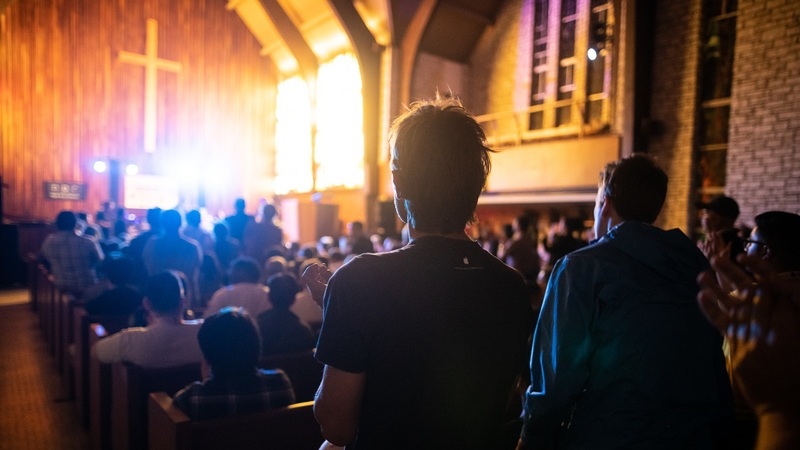 Onlookers watch Gaelynn Lea's performance at the Tiny Desk Family Hour at Central Presbyterian Church in Austin, TX, during the 2019 SXSW music festival. 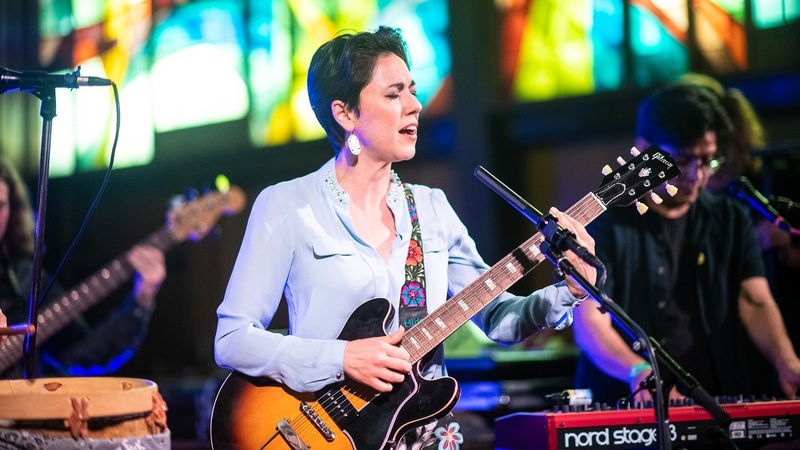 Gina Chavez performs at the Tiny Desk Family Hour at Central Presbyterian Church in Austin, TX during the 2019 SXSW music festival. 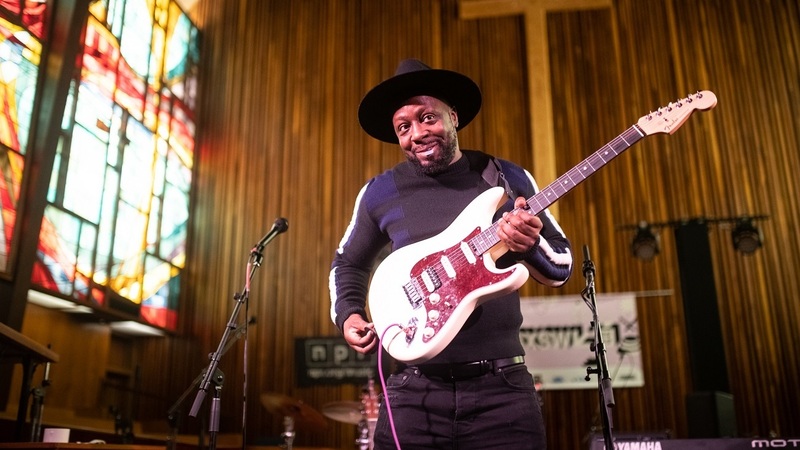 Wyclef Jean performs at the Tiny Desk Family Hour at Central Presbyterian Church in Austin, TX during the 2019 SXSW music festival. 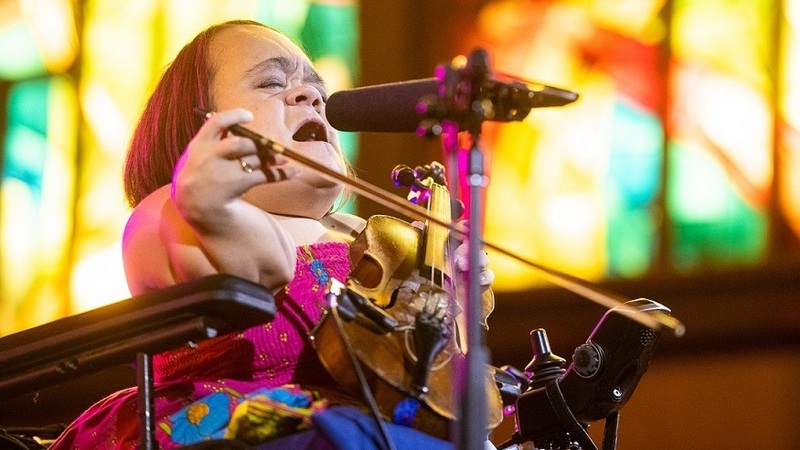 Gaelynn Lea performs at the Tiny Desk Family Hour at Central Presbyterian Church in Austin, TX during the 2019 SXSW music festival. 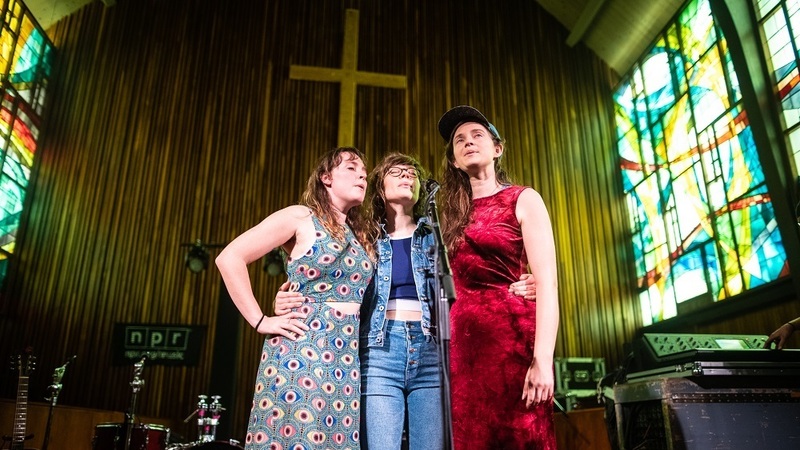 Mountain Man performs at the Tiny Desk Family Hour at Central Presbyterian Church in Austin, TX during the 2019 SXSW music festival. 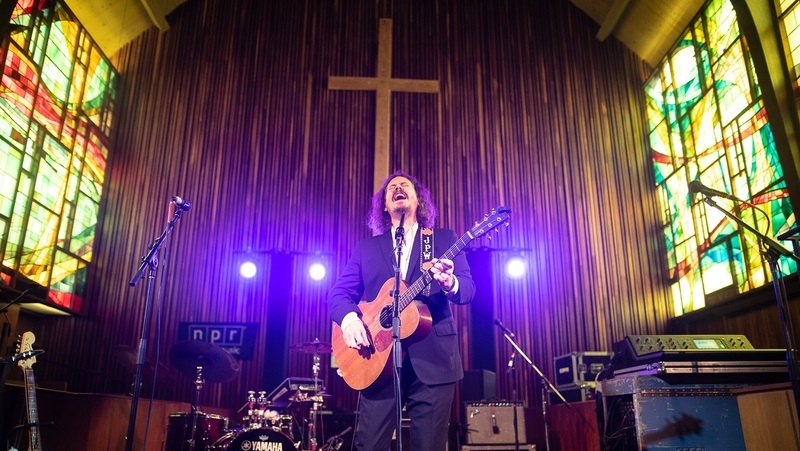 John Paul White performs at the Tiny Desk Family Hour at Central Presbyterian Church in Austin, TX during the 2019 SXSW music festival. 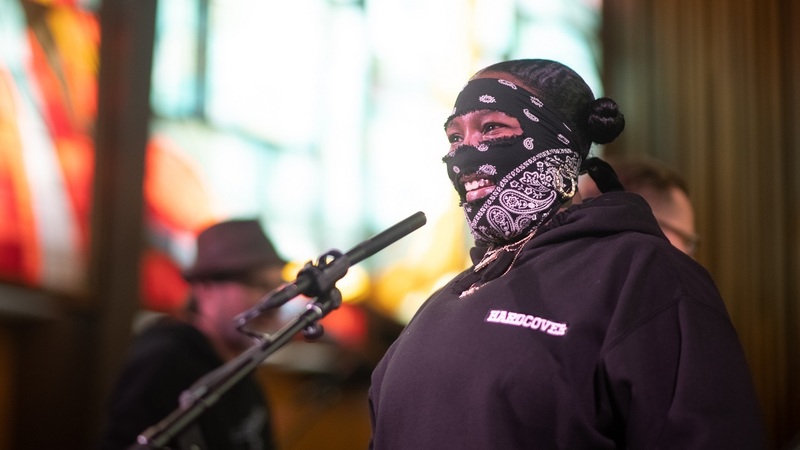 Leikeli47 performs at the Tiny Desk Family Hour at Central Presbyterian Church in Austin, TX during the SXSW 2019 music festival. 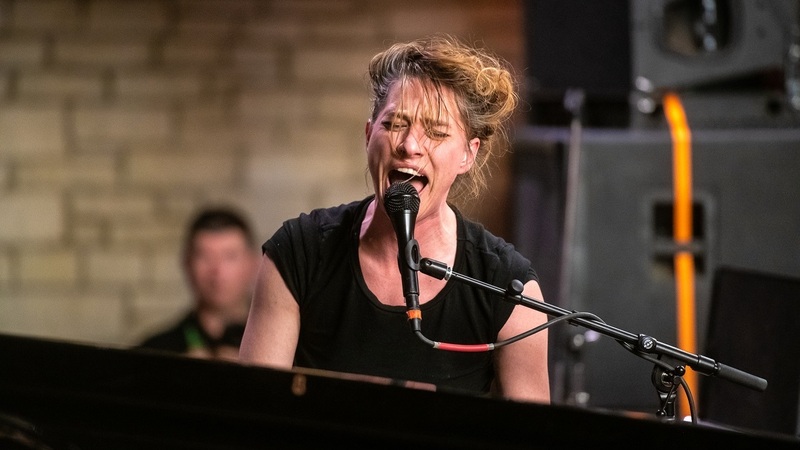 Amanda Palmer performs at the Tiny Desk Family Hour at Central Presbyterian Church in Austin, TX during the 2019 SXSW music festival.